How to build links when Google ignores so many links. John Mueller said that Google ignores a lot of links because they are more often link spam targets. Need help? Call us today! In a Webmaster Hangout, Google’s John Mueller answered a question related to link building. John Mueller’s answer gave a peek into a little known part of Google’s algorithm that handles links. How Does Google Treat Links? The question was very specific. It asked how Google treated specific link building tactics that are easy to do. How does Google treat backlinks from website analysis websites or user profiles? 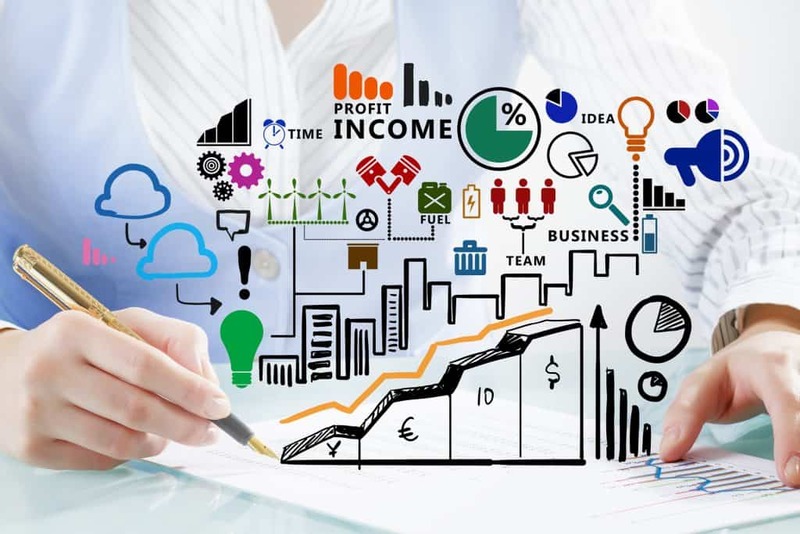 Website Analysis websites may be a reference to websites that provide technical information about domains. User profiles is a reference to joining web forums and creating a profile. Spammers add a link to their profile that is shown. Typically a forum links to the membership list where Google finds and crawls the profile link. Every post on a forum features a link back to the member’s profile. A spammer will sometimes seek to exploit that be creating a few posts that result in a link to the profile which then links to the target site. This is one of the easiest ways to build links. There is even software for automating the process of registering and creating a profile with a link. John Mueller answered the question but broadened the scope to address a wider range of easy link building techniques. John Mueller made it clear that Google ignores forum profile links. He called them, user generated content links. What’s interesting is that Mueller said that they were easy to recognize. This is important. That means that Google doesn’t use fancy link analysis or anything like that. Google’s algorithms easily recognize them as forum profile links and automatically do not count them. The context probably sends a signal that they are forum profile links and they are removed from the link graph and have no ranking benefit. John Mueller stated that links that are automatically generated have zero ranking benefit. The reason is because the context of the link is not the context that Google wants to count for ranking purposes. It’s possible that they are useful for discovery. Discovery means Google’s ability to find a web page. Discovery of a web page is not useful for ranking. 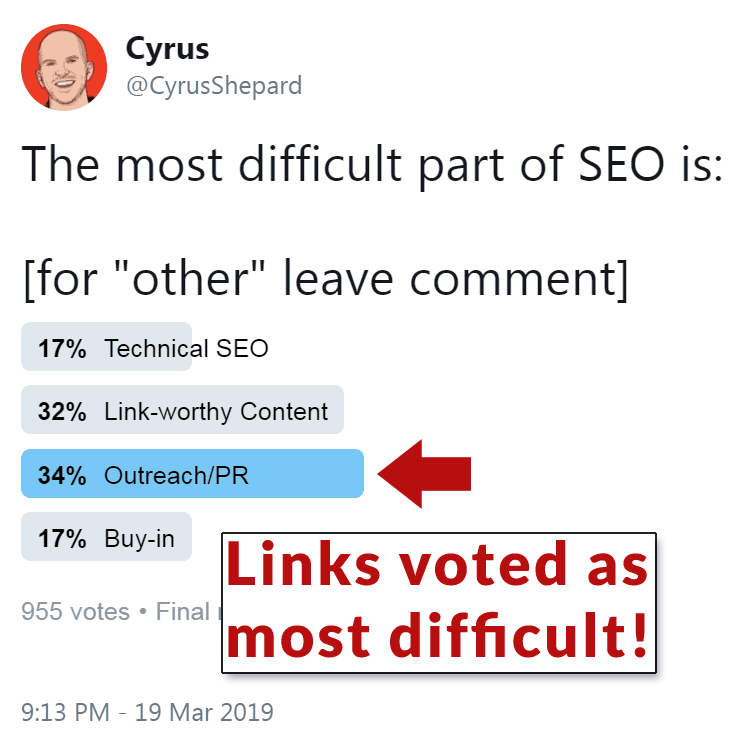 Cyrus Shepard (@CyrusShepard) created a Twitter poll that asked what is the most difficult part of SEO? The most popular result was Outreach/PR, which is another way of saying building links. 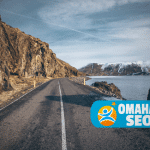 The second most difficult part of SEO was creating link worthy content. The two SEO activities related to links were voted as the most difficult. A poll conducted on Twitter showed that link building was the most difficult part of SEO. It’s not surprising that link building voted as most difficult. Google depreciates a wide range of links. Many web publishers do not respond to link building outreach. It kind of seems like the old way of building links is broken. And that contributes to the feeling that link building is hard. What if the reason link building is difficult is because we’re going about it the wrong way? What if the reason link building is difficult is because it’s time to change how link building is conducted? A real link was created independently by someone who is so enthusiastic about something that they link to it. In some ways, we tend to focus on the wrong metrics such as if the site is an “authority” and so on. What about the enthusiasm factor? Google encourages publishers to be awesome. That’s excellent advice, but it’s kind of vague. I’m not criticizing the “be awesome” advice. There’s truth to it. It simply lacks a lot of nuances. There are many ways of building enthusiasm, loyalty and desire. What made Zappo’s so popular? What makes you ask for a website by name? Why did you pick your car? Was it because of what it says about you? Or because it’s cheap? Those are relatively easy questions to answer. They are difficult to answer when it comes to SEO. We all know that Google doesn’t respond to anchor text the way it did twelve years ago. So why do so many publishers still worry about anchor text percentages in 2019? 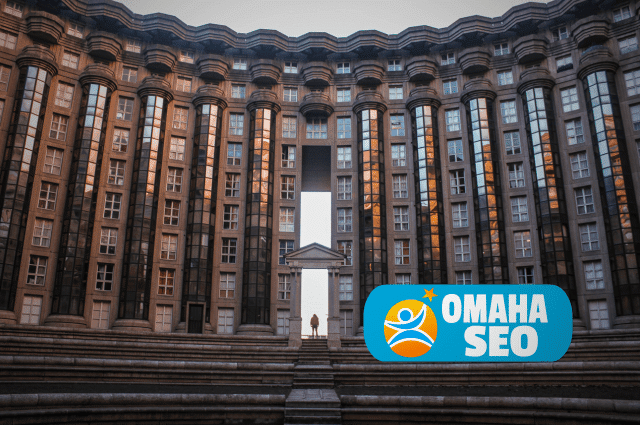 SEO seems to get locked into a way of doing things and even in the face of evidence that Google has changed, the rote methods and tactics tend to stay the same. 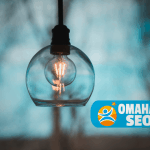 In my experience, considering those questions in relation to SEO results in long term strategies. Maybe it’s time for a shift in the link building paradigm. This wouldn’t be the first time the SEO industry evolved the way it creates links. That doesn’t mean you have to stop doing what you feel is successful. It simply means exploring long term alternative that react and bend with how web publishers spontaneously give links and how Google rewards links.